Apart from live Riga Old town walk and panoramic bus drive, the tour includes visits of Riga art and history museums introducing cultural and historical heritage of this unique city. Several local restaurants will welcome you with the chance to taste local specialties. Departure from the hotel through the central part of Riga to enjoy the green and magnificent Art Noveau stile city, visit to Emihla Gustava Chocolate coffee shop to enjoy the original taste of Latvian handmade chocolate with 100 years traditions, afterwards walk along the legends of Old Riga stone paved roads and visit Taverna restaurant to learn and enjoy the taste of Latvian national cuisine - specialties of four Latvian regions. Further breathe the history aura at the Museum of Riga History and Maritime. While compiling your impressions proceed on a coach tour to view a full panorama of Riga, visit to restaurant Ostas Skati, enjoy a welcoming glass of Riga champagne while slowly observing the magnificent steady flow of the Daugava river. The dessert of the tour brings you to the Latvian National Art Museum with excellent collections of Latvian and Russian classic and modern paintings and sculpture. The tour terminates at the hotel. Get acquainted with the sounds and music of Riga while walking through medieval streets of the Old Town. Visit the places where famous composers, conductors, musicians and dancers got inspired to blossom their carriers. The tour includes a comfortable bus drive to observe the central part of Riga – the art pearl. Besides the panoramic views of the historic part of the city, you will see the outskirts from a new perspective – endless possibilities for active breaks and new adventures both on land and water. Active shopping to end the tour. Depart from hotel, drive through business and commercial centre of Riga for visit to Go Planet Virtual Game centre and experience the thrilling feeling of Formula 1 START, afterwards try your skills of playing curling at the Curling hall, short stop at Riga Motormuseum where get acquainted with original old car models, proceed to Open Air Museum to get inspired by Latvian traditional performances and festival games. Afterwards experience team building fun, organized by ‘Eži’ professional team builders. Proceed to Ozo golf course to get a glimpse of Latvian golf facilities and to end the tour experience the passion for shopping at Sky&More shopping mole (discount card provided). After panoramic introduction of the major historic and architectural sights you realize – the city is build by strong people. Latvians love to eat, and you will learn why. Cooking classes will discover secret recipes that might change your eating habits, too. Depart from hotel through the central part of Riga and it’s pearl – the Old Town, where first experience a unique Knitting Cafe and learn your abilities to create handicraft art, take a chance to dialogue with local knitters and find out things you never imagined. Proceed to experience the legends and real taste of Latvian local beverages at restaurant Salve and medieval spirit at Riga Black Balsam Magic Bar with tasting of Black Balsam cocktail. Proceed to Riga Market for a unique shopping experience, find the best products and Hotel Avalon chef will invite you to learn the original recipes of what to make of what you bought, and many more useful things during cooking class. Tour terminates at hotel. Haste and mess is a typical feature of all capitals – is Riga different? This tour shows you the panoramic sights through various ways of body and soul renewal. Please your body and soul with water and aroma miracles. Enjoy peace and beauty. Tour of Riga Parks and gardens, unique panoramic sights observed will bring you away from the daily noise, relax and free your mind during a boat trip by a small boat along the romantic curves of Riga canal and the Daugava River, see one of the best places where to observe sunsets - the Daugava moles. Afterwards feel the relaxing aura at one of Riga day SPAs. Tour terminates at hotel. Coach drive through the central part of Riga with its parks and gardens brings you away from daily routine. The resort city Jurmala lays just a breath away from Riga. You will learn the magic of 3xS (Sun, Sea, and Sand). Pine trees and sea salt create a unique aroma to free your mind and relax in any weather. Depart from hotel through the central part of the city and feel the unique aura of Riga’s wooden architecture while exploring the other bank of the Daugava river, visit to Latvia University Botanical Garden with exotic greenery and vivid colors, afterwards proceed to Jurmala were relaxing walk in Ragakāpa Nature park trails ending at Jurmala Open Air museum where taste the herbal tea and get acquainted with history of Jurmala town. Proceed to Orizzonte restaurant and taste relaxing juice milkshake enjoying the panoramic view to the sea and sandy beach. Afterwards proceed to one of Jurmala SPA centers where feel the relaxing aura of SEA-SUN-SAND. Tour terminates at hotel. Latvians are adventure, sport and active life style fans. They also dare to boast having their own Switzerland. By joining this tour you will see and experience yourself the reason why Latvians are so successful in alpine skiing, bobsleigh and other winter sports. You will realize the magic of flying adventure as well as feel the touch of history. Afternoon visit to Bauska Brewery with tasting, afterwards Interactive tour of Mežotne Castle mound where you will be introduced to history of Zemgali tribes, traditional handicraft and music instruments: bagpipes, kokle, drums and others, visit Mežotne Castle - another pearl of this region. Drive along the costline of Riga gulf of the Baltic sea up North – cleanliness of white sand, picturesque stony capes, rich wild forests. Neet villages surrounded by smell of freshly smoked fish and feeling of cosyness and welcoming wealth. Morning departure from hotel, introductory visit to SPA hotel Baltvilla, relaxing walk in Piejūra Nature park with wild beach, traveling sand dunes. Proceed to legendary Minhauzen’s museum, afterwards learn medical herb useful features at Jānis Ulmjis farm in Sautlāči (~ 300 herbs exposed), where you will be introduced with green pharmacy and fitoterapy. Afternoon visit and relaxation at Rozeni bath near the wild Salaca river, proceed to Randu meadows where a short walk with sight tower located at the sea - one of 1000 best places in Latvia to enjoy the sunset. If lucky you will see the sunset at Ainaži mole, too. Afternoon visit to Viesturi golf course - one of the 3 courses located within Riga region: try your skills of playing golf, afterwards visit to the Hunting Museum Dižsili with sporting activity (shooting at flying plates). 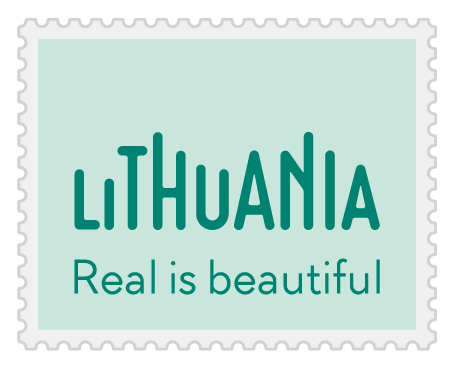 South from Riga, a couple of hours drive to observe the beauty of Latvia countryside will continue to Lithuania – Latvia’s neighbour in the South. Strong catholic traditions, friendly and helpful people, delicious food with lots of national specialities, and history to remember. Excellent chance to get aquainted with two capitals – old and new. Afternoon Vilnius sightseeing including the major sites of the old town - the main church of Vilnius Cathedral Basilica, the oldest street in the old town - Pilies street with original buildings ranging from 14th to 19th century, Gothic architecture ensemble - St. Anne's, Bernardines, St. Michael's churches, the 16th century Gates of Dawn that originally formed part of the town fortifications, with the holy image of the Virgin Mary that is very famous in the religious community because of the legendary miracles that were performed with the help of this icon. Further continuation to the Amber gallery, where amber vodka will be tasted. Some later you will have a short introduction to Lithuanian beer traditions and taste 5-6 sorts of Lithuanian beer. Trip to Trakai (25 km from Vlnius) with a visit to reconstrcuted 14th century Trakai defence Castle curently housing a museum of archeology. Trakai was one of the main centers of the Grand Duchy of Lithuania and the castle held great strategic important. Trakai Island Castle is now a major tourist attraction, where is an archeological and historical exposition and take place various festivals. After short excursion in the Castle you will enjoy a panoramic boat tour around the Castle and Uzutrakis Manor on the Lake Galve. Afternoon Kaunas sightseeing Kaunas, the second largest city of Lithuania, is located 100 km from Vilnius. It served as the provisional capital in 1939- 1940. Tour starts with the excursion of the old town including the remains of the 13th century Castle, Town hall which is mostly late baroque in style and now houses the wedding palace, continue through town hall square to Vytautas church built by Grand Duke Vytautas as one of the first brick castles in the 14th century, a further stop at Kaunas Cathedral Basilica, built in the 15th century and famous for baroque interior, then continuation to pedestrian street - Freedom avenue. The Baltic sea along its coastlien is never alike, white sand changes to rocks and back to high dunes with pine trees. Enjoy a uniqueness of Kuronian spit – a narrow strip of land washed by the Baltic sea from both sides. Centuries long and colourful fistory lies behind the nature treasures. You will not regret to find it out! Afternoon Klaipeda sightseeing.Klaipeda - Lithuania's third largest city, which is located at the narrow strait linking the Curonian Lagoon to the Baltic Sea. Klaipeda city is the northernmost ice-free port in the Baltics and the only one in Lithuania. Klaipeda Old Town is unique in major Lithuanian cities in their old towns Germany architectural style and structure of the target street. Klaipeda cherishes nice marine traditions–it hosts the Sea Festival on the last weekend of July every year since 1934. This event includes a number of performances of artistic companies and craftsmen’s fairs. The Kopgalis Fort complex, built in the 19th century, houses the Maritime Museum with an attractive exposition of marine nature and the history of navigation. Further sigthseeing trip in Nida, visiting Parnidzio kopa (the highest dune) and the Agila (Nagliu) dune. Tour of Nida includes the major sites of the city - Parnidis Dune and Sun Dial (from the top of the dune 52 meters in high opens wonderful view to the Curonian Lagoon and the Baltic Sea), red brick Lutheran neo-gothic church, Ethnographic Cemetery of 19th - 20th century and visit fishermans villages. Afternoon visit of Amber Museum and resort city. Morning departure from hotel, enjoy driving through fields and forests of Latvia countryside, introduction stop in Ķemeri National Park for information about biking and walking trails in the park, bird watching at Kaņiera lake, proceed to enjoy freshly smoked fish at Ragaciems fish market, drive through fishermen villages along the coast of Riga gulf. Short stop at the unique Engure wild orchid trail, proceed to enjoy the untouched beach of Mersrags, learn more about Latvian fishing traditions and history at Roja Fishing Museum. Lunch at fishermen farm in Roja with local specialties. Afternoon visit Miķelis authentic lighthouse to enjoy a great view of the Baltic sea and mainland, proceed to Ventspils for full taste of the city - enjoy Ventspils Concert hall - where significant concerts and events take place, welcome drink and presentation will create your imagination of the great city. Forget the daily routine – South Kurzeme visit might change your daily habits. New tastes of never tried food like Latvian famous brown bread, visit to the world’s most northern vineyards. The bohemian touch of Liepaja – the city of winds mixed with area’s very special industrial heritage will create your unforgettable experience. Dinner and overnight at Hotel Amrita City or similar. Afternoon short Kuldiga sightseeing with the widest waterfall of Europe (cross the Old Red Brick bridge), information about salmon fishing in Venta river, realize the uniqueness of Sabile vineyard - the most northern located vineyard in Europe, proceed to Cinevilla (open air movie village) and experience people relations in old times Latvia. Morning departure, drive to enjoy great sights of highlands of Vidzeme ( highest peak in Latvia – Gaizins hill) walk the nature trails, proceed to Lido relaxation complex near the highest peak of Latvia - Gaiziņkalns. Proceed to Marciena Manor resort.where enjoy biking, walking or rowing in a boat touching wild nature to feel the magic breath of wilderness .Afterwards relax at the local bath with real country water tub and experience the professional bathhouse attendant work. After bathing enjoy herbal tea. Enjoy the mix of unique impressions in Vidzeme. Fantastic landscapes, hills and valeys that Latvians are so very proud of, history and culture monuments represented by castles and manors will create unforgettable moments while travelling through the very heart of Latvia. Morning departure from hotel, drive along the Daugava river picturesque banks to visit Koknese Castle ruins, proceed to Ēgļi – Jumurda, drive through Kangari hills to explore the unique natural rally track. Afternoon short visit of deer farm „Viesakas”, the tour continues in Madona region, Pottery House visit where you will enjoy pottery, painting and drum making handicraft, afterwards visit to agriculture farm Līvi (diary farm) to enjoy local goat cheese and freshly baked bread. Afternoon proceed to Smiltene, visit the local farm Lejas Kleperi and enjoy the genuine farming dating 350 years back in the history, proceed to famous medieval Turaida Castle, where visit the museum and learn legends surrounded by the natural beauty of the Gauja river valley. Only a couple of hours drive away from Riga you will reach the boarder of Latvia and enter the neighbouring Estonia – other language, other habbits, different but fascination wild nature, the Baltic sea with unique coastline, islands, rivers, lakes, kind and welcoming people very proud of their national identity - as all small nations are. Good reason the compare Tallinn and Riga - medieval archirecture accompanied by modern style and visid atmeosphere. Proceed to Lahemaa, hiking in Lahemaa National Park. A short drive away from Riga will open a new experience in a neighbouring country – Estonia. You will have a chance to visit and experience the places many of them newly opened for tourists bringing the genuine feeling of untouched nature and past rich in culture events history curves.